This is a call to action to everyone who’s cringed or raged about violence against women. Violence against women is perpetually in the news these days. It's a slap in the face of India and its claim to its modernity and progress. Well now, YOU can be a change-maker. YOU can help break this vicious social evil. YOU can back our Modern Day Dandi March on our journey of a #billionstepsforwomen. 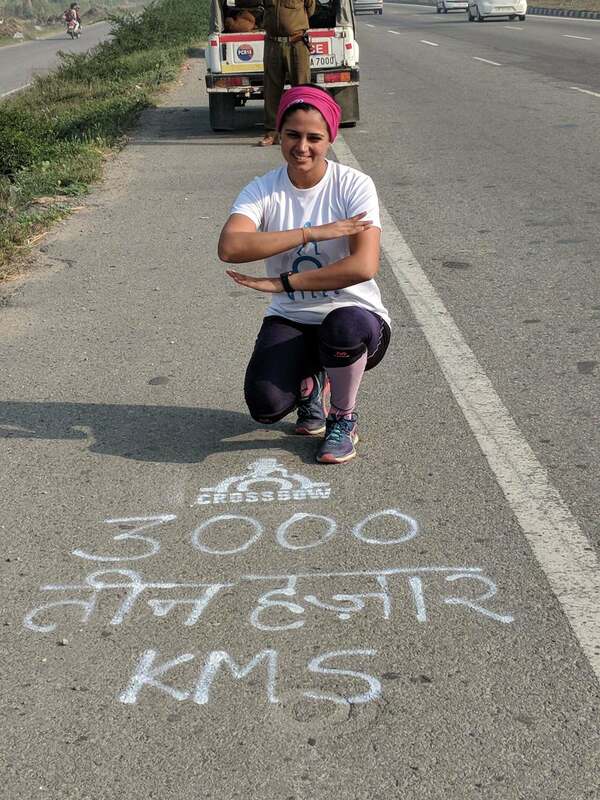 This September, Srishti Bakshi started her journey from Kanyakumari in Tamil Nadu, India, walking 3800 km (2300 miles) to Srinagar, Kashmir. 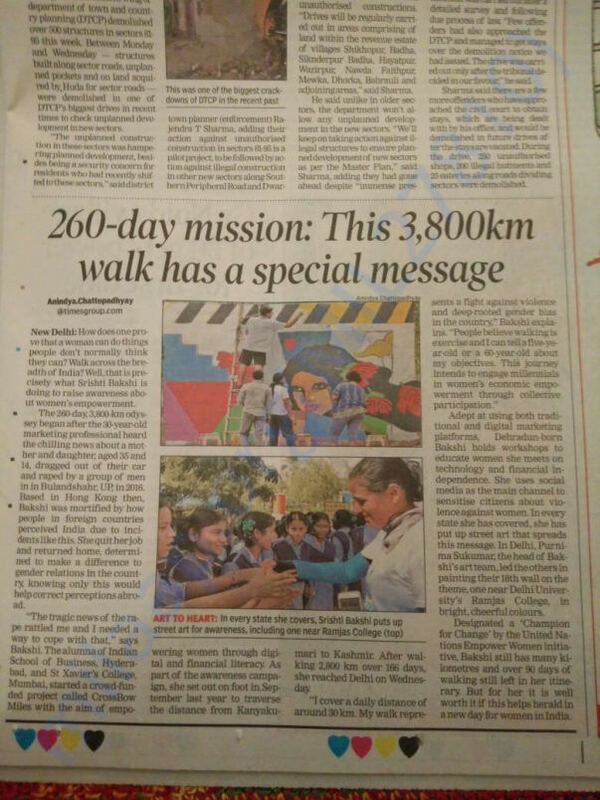 With this on-foot journey, team CrossBow Miles hopes to collect ONE BILLION STEPS, from you towards making India a safer country for women. How will we achieve our Goal? What if we told you that your daily steps, clocked into our CrossBow Miles App will unlock resources by Corporate/Foundation/Philanthropic DONORS to benefit Non-Profits who are working on-ground protecting women and girl-child rights in our country. Conducting Workshops on financial and digital literacy to empower women with examples of how they can harness the power of the internet in their daily lives and make savings for their future. These workshops focus on sowing the seeds of change in women who then become change-makers for their families and communities by teaching them their rights, providing them access to and knowledge of better health, hygiene and sanitation systems, educating them about clean cooking fuels and more. Documenting stories through shooting a documentary feature film. We need you to be the change-maker that we know you can be! Please CONTRIBUTE FUNDS, as much as you are comfortable with, to help us organise our 260 day MODERN DAY DANDI MARCH. We need a sum total of INR 1 Crore/USD 150,000 to organize this grand march successfully. Also, please do share our story on your social feeds. We will need each one of you to discuss what we are setting out to do. Download the app and walk for your preferred cause everyday. By adopting this digital movement, people can kickstart change. At CrossBow Miles, we believe that each one of us is a CHANGE-MAKER. So please go ahead and launch an arrow of support to help CrossBow Miles hit its target. Apart from a billion blessings, please find below (see under updates) the exciting give aways that we have planned to share with you. 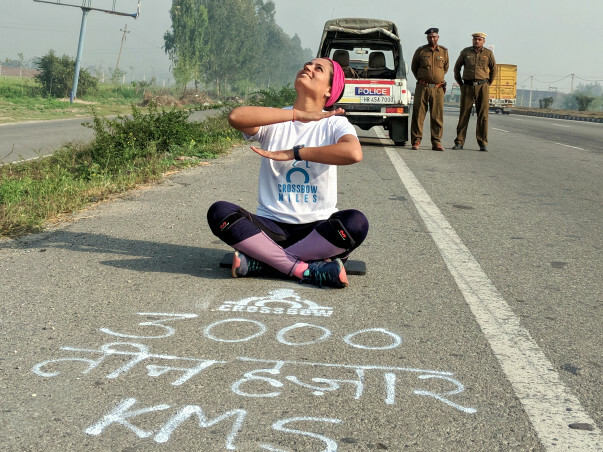 On 30th April in Srinagar, Srishti Bakshi and Team CrossBow Miles walked their final joyous steps in the 3800 km journey across India towards the safety and empowerment of women. A journey that began 8 months ago, traversed 12 states and directly touched the lives of over 85,000 people. Thank you for the support and encouragement that saw us through every step of the way! And this journey, it has only just really started! We have so much to do now - 110 workshops worth of data to collate and analyse, 123k people on social media to build networks with, and 108 million steps on the CrossBow Miles app to convert into the next big disruption in crowd funding. We have succeeded in what we set out to do because of your affection and blessings, and we would love for you to join us as we cross over from one chapter in the CrossBow Miles journey to the next. CrossBow Miles is now on the last leg of its 3800 km on-foot journey from Kanyakumari to Kashmir, after crossing the 3000 km mark. Srishti Bakshi is now marching upwards and onwards through Haryana, Punjab and finally onto J&K. This came on the back of an action-packed stay in Delhi. 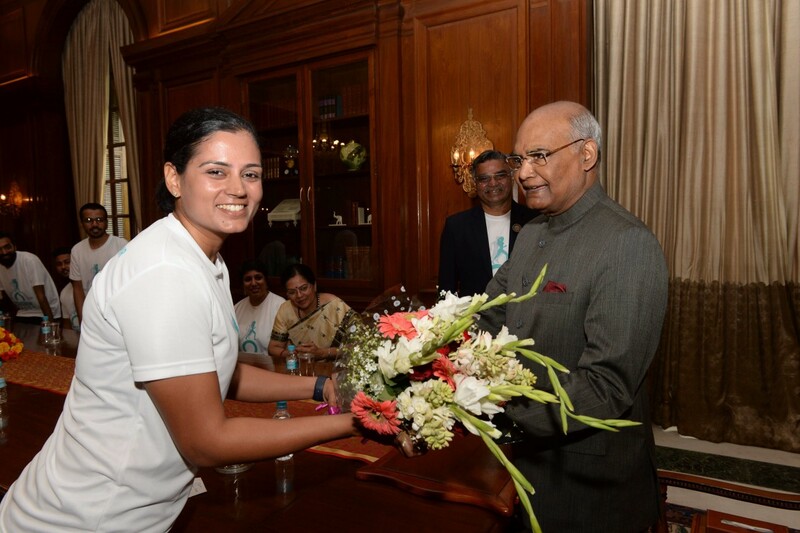 Team CrossBow Miles met the President of India, Shri Ram Nath Kovind who reiterated his support to the campaign, with valuable suggestions on growing and motivating the volunteer network. The movement also got tremendous international recognition. 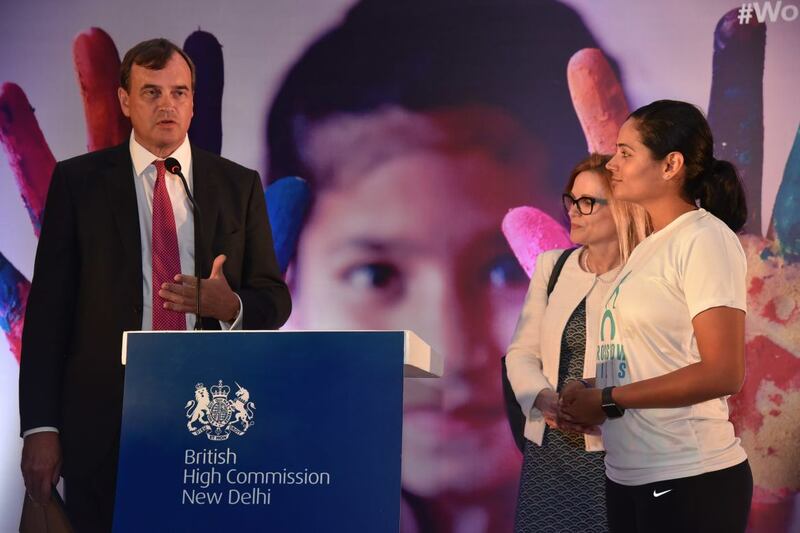 Srishti got the highest accolade from the British Commonwealth, receiving the Commonwealth Points of Light award for India from the British High Commissioner, Sir Dominic Asquith, on behalf of Her Majesty the Queen. 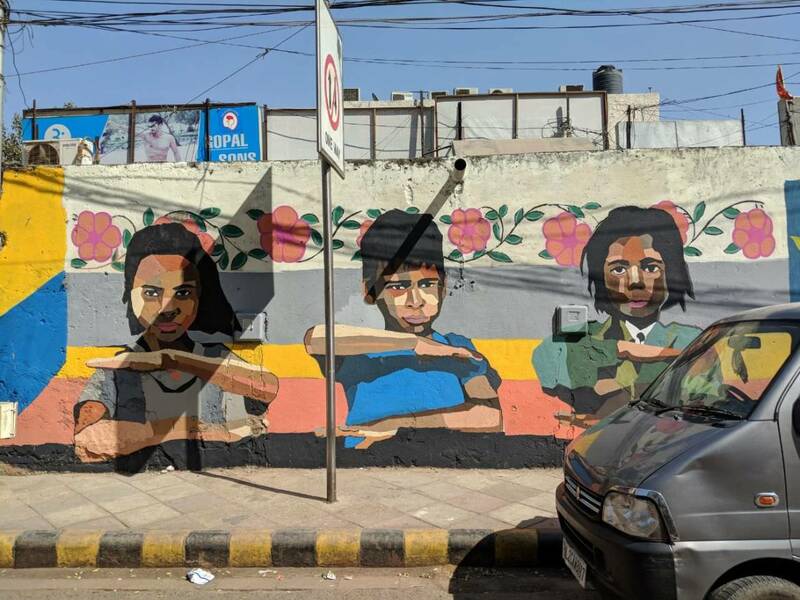 CrossBow Miles used the time in Delhi to impart what it had learnt through practical experience and observations of the problems faced by women in India and possible solutions. We participated in the Gender Equality Summit by the United National Global Compact Network India, an ITC knowledge roundtable with noted lawyers and women leaders, #SHEROESHours, a multi-city event to #PressforProgress on the occasion of International Women's Day and many more thought-provoking workshops and interactions. 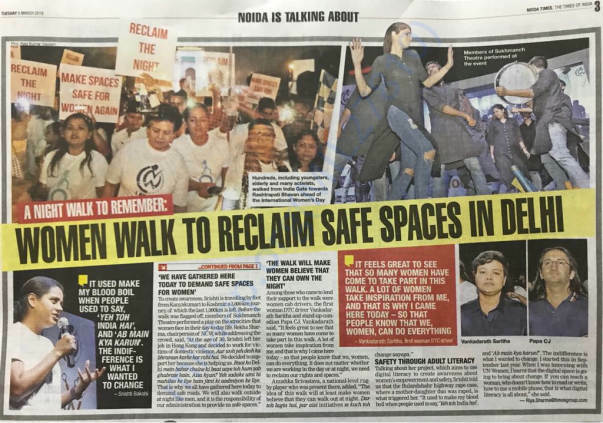 The standout events in Delhi where the heart and the mood of the city were so visible were the Public Wall Painting at Sarojini Nagar market where over 300 people painted messages of gender equality and the Public Night Walk where over 15,000 people rallied together to reclaim the night as a safe space for women and children. 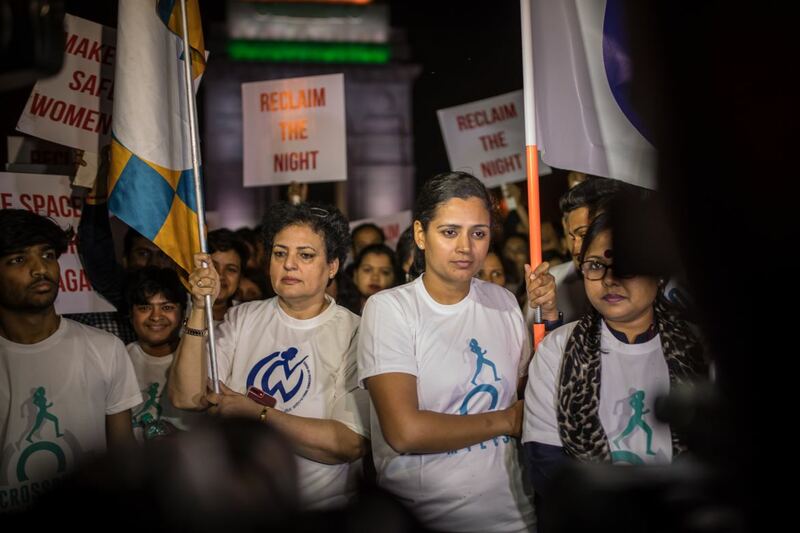 With both public events, the atmosphere was distinctly electric with the energy and determination to bring about change in society and make it safer and better for women. Please do join in this movement. Every step you take goes towards building a safer and better India for women and girls and brighter future for all. Thank you for supporting CrossBow Miles' journey of a #billionstepsforWOMEN. You'll be pleased to know that we've withdrawn a small part of your generous contribution towards funding operational costs of the walk (support staff, vehicles, hotels etc). The funds are also being used for the backend logistics of on-boarding more causes onto the CrossBow Miles app. The CrossBow Miles app is what will help us make this a digital world movement and it has already seen an overwhelming response. 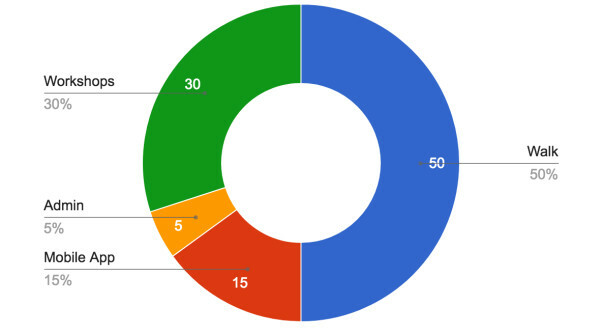 People from all over the world are picking a preferred cause and walking every day. We hope you have been doing that too. If you haven't yet, please do download the app - goo.gl/RmHmYr and walk for a cause. Once again, our heartfelt thanks and a billion blessings to you for supporting this movement.